Android OS is a fastest growing platform for android device. Now a day Billions of people user use Android operating System across the world. And today there no of the company are present in the market that Develops android app. more people are using mobile devices or smartphones for accessing the internet than ever before. 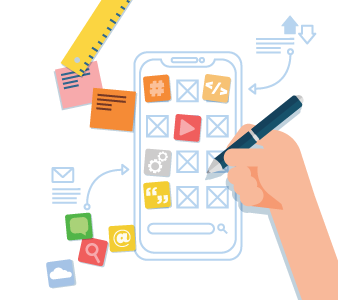 Android OS provides various customization option to develop your app and achieve your target. We deliver resourceful, high quality performance, user-friendly, robust and interactive Android applications that enable you to communicate, manage complex lives, conduct transactions, make appointments, preview products or services, shop and do it all with a swipe and tap.